I’ve never come as close to dropping a show without doing so as I did with season three of this show. My thumb was literally hovering over the delete button on one of the episodes I had saved up of the show, before I decided to at least watch what I had recorded, and then maybe follow it to the end of the season. Yet here it stands at number five for the entire decade, ahead of some of my favourite all-time shows. That speaks to the remarkable turnaround the show made as soon as it was able to secure an end date, giving it not a U curve, but a J curve — as great as its debut season was, the more recent seasons have been even better. That’s just one of the ways that Lost is the exception to every rule. In the second half of this decade, network drama hasn’t come close to matching the quality of cable (particularly premium cable), with network ceding the territory of unique and ambitious TV to pursue cookie-cutter procedurals. This clearly isn’t the case with Lost, which may be the most unique and ambitious show on television. Network favours shows that allow viewers to come in and out, while Lost is the most serialized show on TV, where even fans that have seen every episode might find themselves confused, while those who miss episodes will be, well, lost. There was a short period of time when the networks kept trying to find their own serialized series in the style of Lost (ABC is still trying to find its replacement), but the failures of shows like Threshold, Invasion, Daybreak, Jericho, and now FlashForward only serve to underscore how special Lost is. Its success has yet to duplicated, and given the current conservative nature of network, I can’t see anyone doing so any time soon. Turns out you need more than a flashy pilot, sci-fi background, and recognizable cast members. You need the talent and ambition of this show, with creators willing to take viewers in directions they never could have imagined. Interestingly, Lost is a show that couldn’t have existed in any decade prior to this one. As I’ve been arguing, technology played a big part in shaping the quality of the decade. Perhaps no show illustrates this more than Lost. PVRs and DVD not only prevented viewers from ever missing an episode, but also allowed them to examine every detail the show offered, pausing and rewinding scenes many times. Then, they could go on the internet and discuss all the possible implications and theories with like-minded fans. This level of dedication fuelled the creators to give even more detail, and trust that their audience were sophisticated enough to follow. Moreover, the advent of HD took advantage of the cinematic quality of show — simply put, Lost might be the best looking show of all-time. It’s a show that demands a lot of its viewers, but thanks to changes to the way we watch TV, viewers were able to meet those demands, and were rewarded with one of the most thrilling shows of all-time. At its best, Lost is appointment television of the highest order. Another show that dipped in quality during its middle seasons, which might make you think that I have it ranked a little high, particularly since the first ten episodes don’t qualify (as they aired in 1999). There’s no doubt that the fifth season of the show was a mis-step, when John Wells took over for series creator Aaron Sorkin. Even the fourth season suffered a bit, as Sorkin’s personal problems affected his ability to turn out quality scripts on a weekly basis. 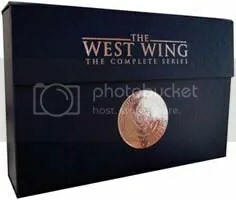 However, I truly believe the show’s sixth and seventh seasons are criminally underrated, providing a fascinating look at the electoral process while eerily prognosticating the rise of Barrack Obama (with Jimmy Smits playing an Obama-like Democratic candidate Matt Santos facing Alan Alda’s McCain-like Republican candidate Arnold Vinick). Meanwhile, the first three and a half of the seasons of the show rank amongst the best of the decade. Sure Sorkin’s vision of the White House was a little too optimistic, and very Liberal, and Dubya’s two terms rendered most of the dramatic tension the show managed to draw out of minor controversies ring a little false (if half the country didn’t care about the guy lying to them to justify going to war, I doubt they’d get worked up over half the stuff this show seemed to think they would). But that doesn’t really matter to me. When Sorkin was on, the show was poetry. The show gave the world a United States that lived up to the ideals it purportedly stands for, and we loved it for it. The West Wing was the first television show I was ever truly passionate about, introducing me to the quality the medium is capable of. Without it, it’s possible that I wouldn’t be the television fan that I am, and lists like this wouldn’t exist. Seems as good a reason as any to rank it highly on such a list. In putting together this list, there was a definite struggle between quantity and quality. I wrote earlier that longevity does matter, which is why a three season show like Arrested Development falls out of the top five, and single season shows like Firefly and Freaks and Geeks were listed as honourable mentions. Yet, here’s Mad Men, another three season show (thus far), listed as the third best series of the decade. How do I reconcile this seeming contradiction? I originally had Mad Men ranked a little lower, but the more I thought about it, the more I realized that none of the shows below it on the list had three seasons as great as the three seasons of this show. Not even close. Quality wins out over quantity here. A lot is made of the series’ visual components, be it costumes, set design, or make-up, with the praise at times overshadowing the true brilliance of the series — its writing and acting. But, the attention to detail does deserve mentioning, as it shows Mad Men‘s total dedication to building its world; dedication that you didn’t use to see on television, where shows could get away with cheaper production values when they expected their audience to watch on tiny screens in their living rooms. You could understand if a modestly budgeted series on a network that was previously inexperienced with original programming cut corners, but instead, Mad Men compares favourably with period films in terms of production values, and could probably compete for Oscars in those areas were it a film. A point I’ve been making over and over in this list is how in many instances, television surpassed film this decade. Mad Men is an excellent example in this regard. Look no further than 2008’s awards-bait Revolutionary Road, a film that covered similar ground as Mad Men (suburban ennui in conformist America, albeit in the mid-50s rather than early 60s) by acclaimed director Sam Mendes starring superstars Leonardo DiCaprio and Kate Winslet based on the acclaimed novel by Richard Yates. The film was probably plenty bad on its own, but the Mad Men comparison made it completely inessential. Who needs Hollywood’s bland attempt at conceptualizing the era when we have Matthew Weiner’s vision to live in for 13 episodes a year. Leo and Kate are usually fantastic, but neither could hold a candle to Jon Hamm’s Don Draper, Elisabeth Moss’ Peggy Olsen, January Jones’ Betty Draper, Christina Hendricks’ Joan Holloway or any of the phenomenal cast on one of television’s greatest creations. Yes, the American version, not the UK version (which… spoiler alert… will not be appearing on this list). I gave up on the original after two episodes, so I’m certainly not beholden to it. That said, I’m not going to bother with any of the comparisons that people are always using to judge the show that are as unfair as they are useless. The differences between the British model of television and the American model are too different for any comparison to have value, as the UK series didn’t have to worry about any more than 14 hours of television. Plus, it doesn’t help in this specific incidence since the American Office only got good once it stopped copying the UK version late in its six episode first season. From the first episode of the second season (“The Dundies”) until the end of the decade, The Office was the smartest, wittiest, most fully realized sitcom of the decade. What made the show special enough to rank this highly is the way it brought serialized storytelling to the sitcom world. Most sitcoms feature characters that never change, stories that reset every 22 minutes, and can be viewed out of sequence (other than dealing with cast changes). As the rest of this list has shown, I place a high priority on serialized television, as I feel it’s the biggest advantage and differentiator the medium has over the more glitzy cinema. On The Office characters changed and evolved, more so than with any other sitcom I can think of. The result of this unique-to-the-genre level of serialization is that I was generally excited to find out what was going to happen from episode to episode. With most sitcoms, you look forward to spending time with your favourite characters; maybe even look forward to seeing what they’ll do next. But you rarely anticipate what’s going to happen, because very rarely anything of real consequence ever does. The most significant growth obviously came in the story of Jim and Pam. While I was never at the level of crazy Jam shippers, I can honestly say that the development of their relationship was my favourite storyline in all of television this past decade. This is not only because I can relate to two soulmates finding each other, but because bringing them together broke all the rules most shows follow (particularly sitcoms), where relationships are dragged out through a series of ridiculous barriers, all to avoid the supposed kiss of death that is resolving sexual tension. This not only patently untrue, it also results in making shows unrealistic and annoying — in that there’s no point in genuinely becoming invested if you know the show will always yank you around until they have nothing left to do and you’ve already stopped caring. The Jim and Pam storyline allowed the show to dip into drama as effectively as it dealt in comedy, with the sensitivity the writers exhibited in that relationship spilling out to the whole show. For a show built on acerbic black humour, it has a surprising amount of heart, giving genuine moments to almost all its characters. As a result, Dunder-Mifflin became a place where things not only happened, but audiences genuinely cared about what happened, making a remake one of the most original shows on television. No surprises here. The same show that leads about 85% of these best TV of the decade lists, and the show that I once described on this blog as “the absolute greatest televised drama I have ever seen”. You can follow that link for a more detailed (and spoiler-free) description of why I think that is, and why it ranks number one on this list. 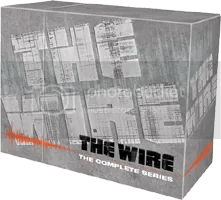 Lists are always subjective opinions, but for me, when it comes to the best TV show of the decade, there’s only two acceptable responses: The Wire, or “I’ve never seen The Wire.” It’s not only the greatest show of the decade, it’s the highest achievement in popular culture for the entire decade. Better than any movie released throughout the 2000s (and, indeed, has made some crime-based movie dramas feel thin and superfluous). Better than any album released in the past decade. For five seasons, David Simon and Ed Burns’ creation was the great American novel, revealing the great potential of the medium that other series had only begun to scratch. At this point, I’ve spilt over 6500 words of digital ink trying to convince you that this was the best decade in the history of the medium. I probably could’ve saved myself the trouble by simply saying this: the 2000s were the best decade in TV history because it was the decade that produced The Wire. I rest my case. You finally finished! Perhaps you should start next years now. Out of the top five I have/do only watch one. Hmmm, when this horrible school thing is over I will give The Wire a go and maybe West Wing, the others are probably not going to happen. I love the Office or I used to. I have to say I was surprised at it being #2 but after reading your post I totally agree. I love Jim and Pam!!!! Deadwood is a glaring omission. Agreed. I had not seen it at the time of writing (and have yet to see The Sopranos or Battlestar Galactica). I’ve now seen Deadwood, and would easily place it in the top five.